The parliament in Baghdad authorised the prime minister to "take all measures" to preserve Iraq's unity in response to the move to hold an independence referendum in Iraq's semi-autonomous Kurdish region on Sept. 25. Ankara, Turkey: Turkey on Thursday welcomed an Iraqi parliament move to reject referendum on Kurdish independence. Kurdish leader Massoud Barzani vowed to press ahead with the vote, calling it "a natural right". "Barzani's referendum decision is a historic mistake. Turkey will follow policies that take Iraq's territorial integrity as a basis," Deputy Prime Minister Bekir Bozdag said. "The northern Iraq referendum must be cancelled, if not it will have a cost and retribution," he said, adding the move would erode the region's peace and bring security risks. Turkey has the region's largest Kurdish population and fears a 'Yes' vote could fuel separatism in its southeast where Kurdish militants have waged an insurgency for three decades in which more than 40,000 people have been killed. Iran and Syria also oppose the vote, fearing it could fan separatism among their own Kurdish populations. Western powers worry the plebiscite - which would include the oil-producing city of Kirkuk - could ignite conflict with the central government in Baghdad and divert attention from the war against Islamic State militants. 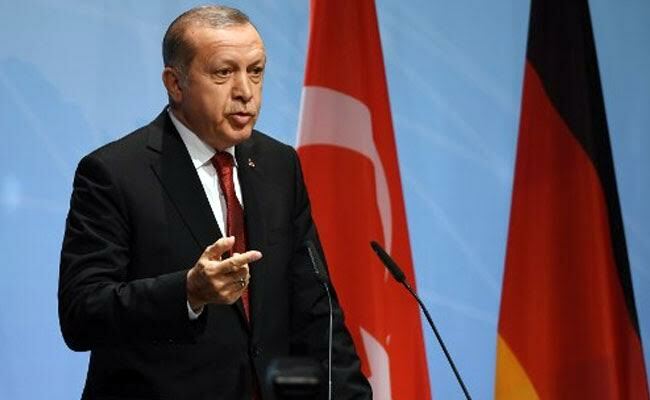 Turkey's Foreign Ministry, in a statement on Thursday, said: "We find the (Iraqi Kurdish) leadership's insistent stance regarding the referendum and its increasingly emotional statements worrying.